So many great articles are published all of the time. These articles were included in online email on 12/17/18. 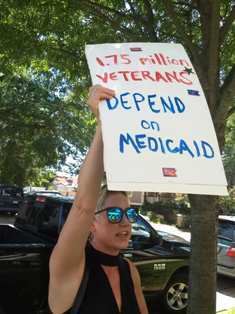 They include one written on the need for Medicaid expansion to help military families and opioid victims, written by a member of Fayetteville NOW <3. 1. The first was written by Fayetteville NOW member Jenn Alexander!